Davy will be covering Dominique’s Monday lunchtime gentle hatha yoga class (1-2pm) on Monday 18th and Monday 25th March at LA Fitness in Hove. 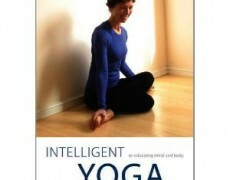 Please note that, due to popular demand, the time for my Thursday evening class at Yogahaven has been changed. From now on it will start at 8pm and finish at 9.30pm (previously it was 7.45 – 9.15pm). 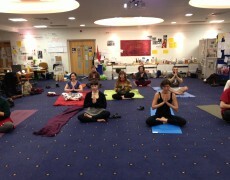 Janaki new class in Brighton ! Davy has recovered from his hip problem – hooray ! And, fingers crossed, all classes are back to normal for the foreseeable future. NEW – Fantastic yoga spa weekend in April ! Spain yoga holiday in September ! La Roane August 2015 Yoga Holiday - SOLD OUT !! !